A 4×4 Photographic Adventure across Sani Pass and into Lesotho offering a unique photographic opportunity that will way surpass your wildest dreams. This Photographic Adventure will be full of “First Time Experiences” as we travel in Land Cruisers with pop-up roofs from Underberg, along the famous Sani Pass and into the Lesotho Highlands. We will visit local Basotho Families for a taste of the homemade bread and beer, travel along the Senqu River (which become the Orange River), many waterfalls and the magnificent Katse Dam – Dam Wall Tour and Botanical Gardens. There are a minimum of six and maximum of ten people on this tour so early booking is essential to avoid disappointment. thephotowalkers.com have teamed up with the Leading Adventure Experts from the area who have lived and worked these mountains their entire lives. They have a great fleet of Land Cruisers and a phenomenal support team to offer you unique photographic opportunities that will way surpass your wildest dreams. This 4by4 adventure takes place in the May – allowing us to capture the ‘real’ side of Mountain living. Our photographers years of experience behind the lens and our team in Lesotho has been living in the area for many years and understands the land, people and their culture deeply. Its partnerships like that puts thephotowalkers.com into a league of its own. Movie night and feedback on images*we have these filters available for loan and sale on the tour – in all sizes. Arrive in Underberg and check in and enjoy the town. (Airport transfers from King Shaka Airport can be arranged (at an additional cost)- as well as safe parking for your cars in Underberg if you self drive while we are in Lesotho.) At 16h30 meet and greet by the tour guides and photographers followed by a 2-hour photography workshop by Leanne Dryburgh and Peter Hassall which will set you up to start your adventure. In the evening we will enjoy a cosy dinner in this unique farming village. Meeting at 17h00 – venue to be advised. Breakfast and 07h00 Departure from Underberg for the adventurous and world famous Sani Pass into Lesotho. Stop along the way, enjoying views of the Pass and the gorgeous valley , with all the unique wildlife and plant life to enjoy. Stop for tea at the Sani Mountain Lodge , taking time to photograph the highlands, before travelling to a local Basotho Village called Skeering , visiting a local Basotho Family for a taste of the homemade bread and beer (optional),travel past the second highest peak in Southern Africa Thabana Ntletyana, travel through the Sehonghong Valley into Mokhotlong – a remote bustling trading town (the capital of the Eastern Highlands) . 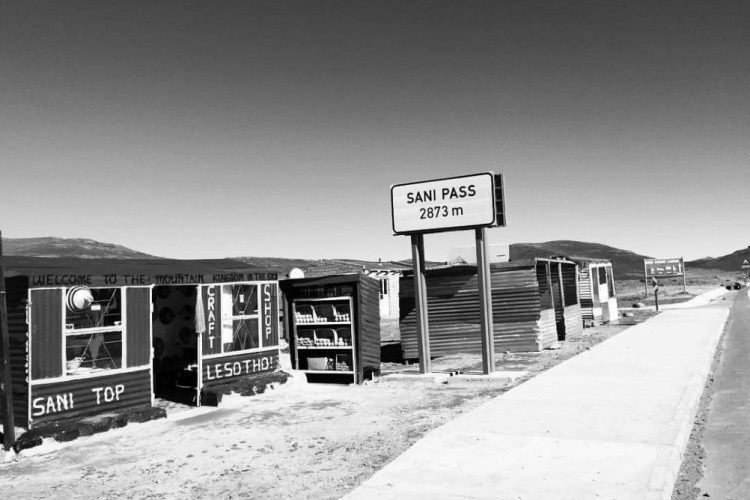 Lunch at Mokhotlong, travel onto Afriski and Overnight there. Capture the sun rising over the mountains, enjoy a warm breakfast and depart. Travel to Motobong where we will stop at Craft Market to capture the traditional weavers at work and do a workshop on portraits and environmental portraits . Lunch en-route. We will then visit fish farms and photograph landscapes. Overnight at Motobong and enjoy a hearty dinner – followed by night photography. After breakfast depart from Motobong and slowly travel to Katse Dam – Dam Wall Tour and Botanical Gardens where will do a macro workshop. There is a lot to explore here – we will also work with depth of field, have a picnic lunch and then travel onto Thaba Tseka where you will overnight. Early Breakfast and then travel from Thaba Tseka to Sehlabathebe National Park. 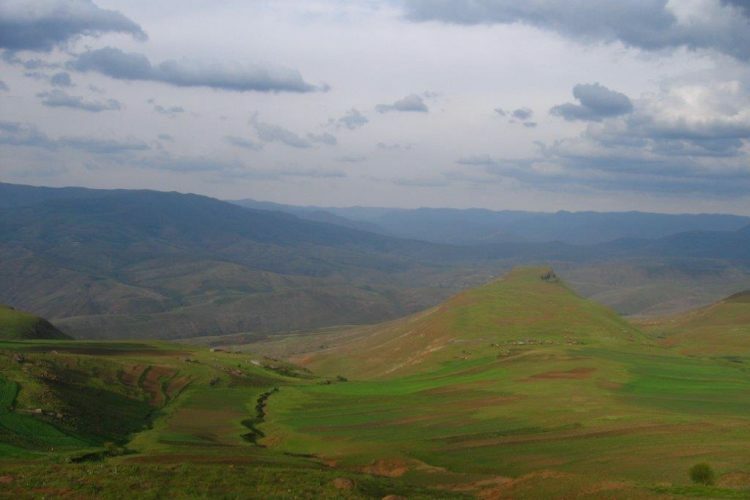 This is a very mountainous and adventurous route with magical views and landscape opportunities . Lunch at Shlabathebe and capture the magnificent Spiral Aloe and possibly a hike if time permits. Shutter Speed Workshop on the spectacular waterfall. Overnight. Early morning workshop photographing the frost and the mountain mist, a warm shower. Breakfast and check out at 10h00. Travel down through the very scenic Ramatsilitso Gate – another awesome 4X4 pass , travel back to Underberg by 15h00. You will need accommodation in Underberg on Friday 17 May and possibly Wednesday 22 May as we intend to arrive back to Underberg at 15h00 but there may be unforeseen delays. You are welcome to book yourselves or we can book for you. These options are offered on the booking form. The shared transport will depart from Johannesburg from 08h00 on the 17th of May and return to Johannesburg at roughly 16h00 on the 22nd of May. It will pick you up and drop you off at your home / accommodation (within reason) – or en-route to the Underberg. **If you are travelling to OR Tambo International on the 16th of May we will pick you up at about 15h00. Please make sure your plane lands by 14h30 the latest. At the end of the tour we will drop you off at the airport at around 16h30 – for flights departing from 18h00 on the 22nd of May. These airport transfers are included in the price. The full price of tour is R27 000.00 (An average of R4500.00 per day) for the photography instruction from dusk to dawn, all transport on the tour in open top Land Cruisers, all accommodation in Lesotho, all meals provided as part of the tour, all drinks (within reason) guides that lived in Lesotho their entire lives, emergency evacuation facilities, all entrance fees, unique interactions in rural villages and so much more. On this tour we will experience and capture the ‘Real Lesotho’. A unique and Wonderful experience. A deposit of R7500.00 is required to secure your place and the balance is payable 4 weeks before departure. Please call Leanne on 083 293 7208 or email tours@thephotowalkers.com if you have any questions or if you would like to discuss anything. From Underberg – Transport, meals, entrance fees, drinks (within reason), camera permissions, two Accredited South African Professional Photographers who will be on hand throughout the weekend to assist you, two tour guides and drivers, backup assistance, years of experience in the area and a lot of fun! Transport, accommodation, meals and personal expenses in Underberg. Airport transfers between King Shaka and Underberg if required. Camera Gear, any meals or drinks in a public bar or restaurant while on the tour and any personal expenses and unforeseen expenses. Comfortable WARM clothing and walking shoes are recommended. Bring layers of warm clothing – the weather in Lesotho can be unpredictable , so layering is the safest option with a warm ski type jacket to protect you from wind and rain. Gloves, beanies, closed comfortable shoes. Comfortable clothing and walking shoes are recommended. Please bring a second pair of closed shoes – as we will photograph near water and your shoes may get wet. Wind breakers come in handy for photographing at dusk and dawn and pockets are useful. Only 20kg of luggage in a soft bag is permitted plus your photographic equipment.